Global Enterprise, Club Office and BetaHaus, with the support of Deskmag, have teamed up to shape Coworking Europe 2011, the second pan-European conference on coworking. 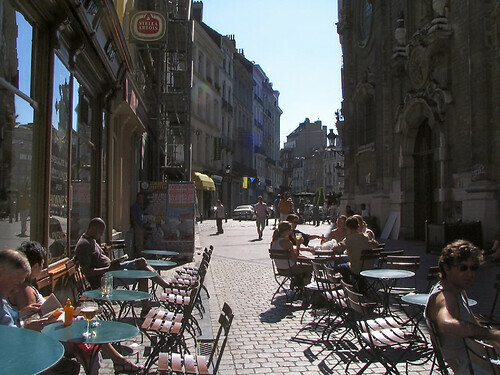 The Coworking Europe 2010 in Brussels was a huge success. 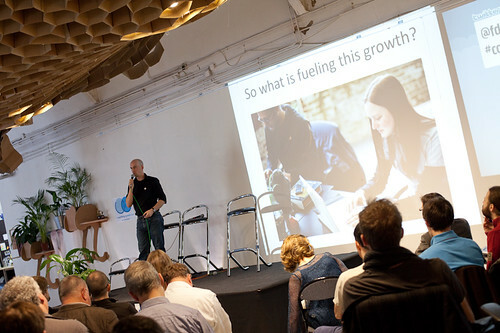 Coworking Europe 2011 will take place in Berlin on November 3-4-5th. This year, the Coworking Europe conference will bring together thinkers, activists, policy makers, corporation HR and innovation managers, entrepreneurs, freelances, coworking spaces managers and owners, plus all those interested in uncovering the real potential of coworking in Europe. Blending together local, European and global players, Coworking Europe will feature exciting presentations and inspiring debates. Have a look at the first draft of the program. We invite you to take part in this exciting event. We offer a special price for the whole coworking community. Book before August 31st 2011 and pay only 85 EUR (all taxes incl.) for the three days conferences. According to a study commissioned by Virgin Business Media, 58% of U.K. workers think the offices of today will not exist in ten years’ time (…) The survey also revealed that 56% of respondents believed that they would spend less time commuting in 2021, presumably because they believe they will spend more time working remotely. Coworking spaces could play a important role in that shift. “As employers search for more agile and effective ways of running their businesses, we’re increasingly finding that firms are swapping expensive office spaces in favor of a virtual workplace, where all activities can be conducted remotely”, says Virgin Business Media, quoted in this Gigaom post. In Brazil, two coworking spaces in 2008, twenty in 2011… How many in 2012 ? Do coworking and crowdsourcing belong to the same family ? “With the advent of new communication technologies and networks on the Web 2.0, traditional work processes seem to be becoming increasingly obsolete. Crowdsourcing and Coworking are the hottest trends of the year and both are very similar in their approaches”.